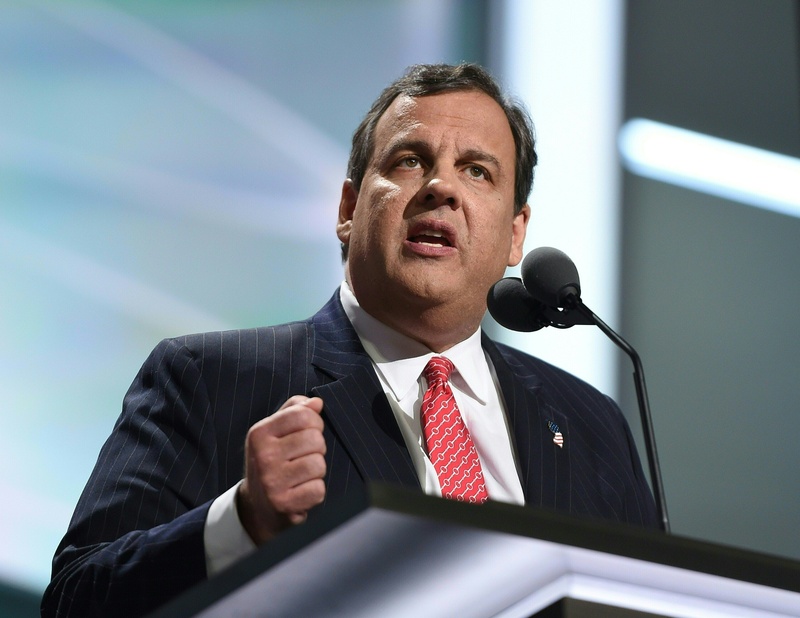 At the Republican National Convention Tuesday, instead of singing Donald Trump's praises, New Jersey Governor and one-time VP contender Chris Christie went on the attack against the Democratic opponent — and villain of the convention — Hillary Clinton. Maybe Christie was only trying out to be Trump's attorney general, but it could be telling of the impending GOP onslaught. "Guilty or not guilty?" he hammered home. This one question basically sums up the entire GOP's feelings about Clinton, and could signal what's to come for the general election in the way of attack ads, debate talking points, and more. At the mention of Clinton's name, the crowd began to boo. Christie brought up the FBI's decision not to recommend criminal charges against Clinton in passing, but then dove into a much deeper attack. He worked in every foreign policy fiasco that has faced the United States in recent years — and not just those that happened under her watch as secretary of state. All the while, he repeated the question, "Guilty or not guilty?" to the glee of the Republicans in the audience. Delegates began to yell, “Lock her up! Lock her up! Lock her up!” The GOP has one opinion on Clinton: She should wind up behind bars. The specific accusations Christie made ranged quite a bit, and the GOP delegates were eating up every bit of it. He started with North Africa, blaming the Libyan intervention — and the current instability the country faces — on Clinton. Then he moved on to her support of China buying U.S. debt. Then came Syria and her past "support" of Pres. Bashar al-Assad (we'll get to that later). Not to mention Iran and the nuclear deal, of course. He seemed quite a bit calmer than Rudy Giuliani did on Monday, but the crowd may have enjoyed the takedown of Clinton even more than the former mayor of New York's scaremongering. After China and the Middle East, Christie pointed toward Clinton's dealings with Russia and Cuba, before ending on the private email server which has been the center of an ongoing controversy that began in hearings on Benghazi and ended with the FBI investigation. As to Hillary Clinton, putting herself ahead of America, guilty or not guilty? Hillary Clinton, lying to the American people about her selfish, awful judgment, guilty or not guilty? Time after time the facts, and just the facts, lead you to the same verdict both around the world and at home. The only problem with all of this? Some of the attacks were just "half true," according to Politifact. Nadia Pflaum wrote that Clinton called Assad a "reformer" and a "different kind of leader." She said that the quotes were taken out of context. Clinton was speaking in 2011 and said, "There is a different leader." Not a different kind. And the "reformer" quote was with regards to the opinion of others, not her own. There are several other points Christie made that were manipulated to make Clinton look worse. Perhaps most surprising was how Christie nearly ignored Trump throughout his speech. He worked him in only at the end of the speech, despite saying they had been friends for 14 years. Perhaps he's upset that he wasn't named VP, and isn't quite ready to take the place of top surrogate again. He told CNN that he was disappointed, but that he's "over it." Perhaps Christie's now more in line with others in the GOP, who aren't thrilled with Trump but hate Clinton to their core. In any case, Clinton's camp had the best response ever on Twitter, not even getting into the nitty gritty. "If you think Chris Christie can lecture anyone on ethics, we have a bridge to sell you," the Clinton Twitter account sent out. Be wary of the GOP trying to take the high ground, but don't be surprised when they do.